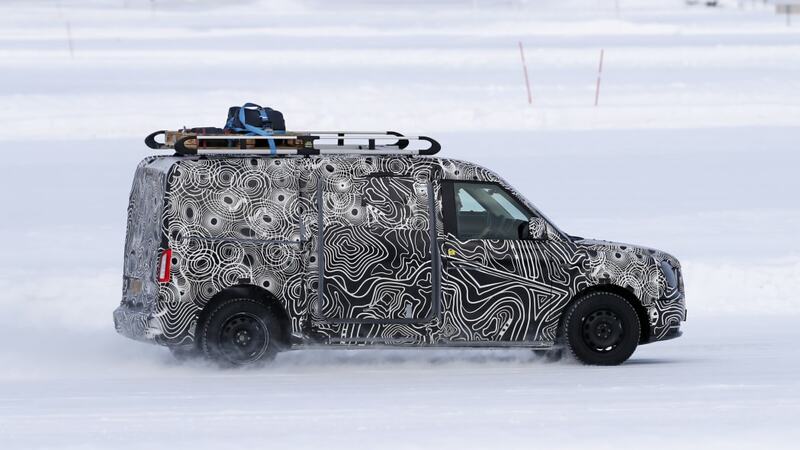 LEVC, or the London EV Company, announced a zero-emissions commercial van some time ago, and a disguised test mule has now been caught testing in the Scandinavian winter. 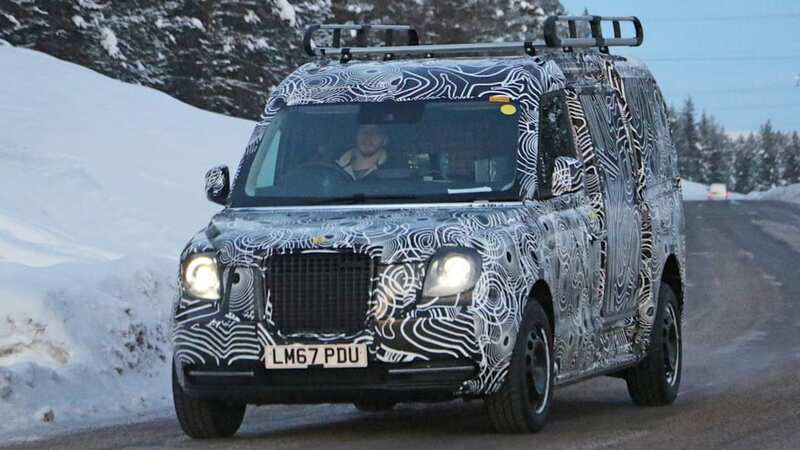 The story with LEVC is long and it dates back a hundred years; once, there was a company called Carbodies, which manufactured those classic black taxicabs everyone associates with London streets. 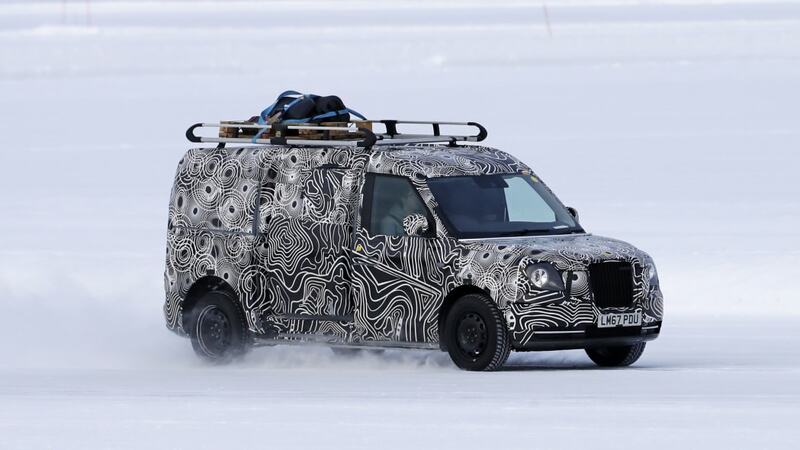 After a number of ownership and name changes, the company was liquidated in 2013 and the Chinese carmaker Geely formed The London Taxi Company out of it. 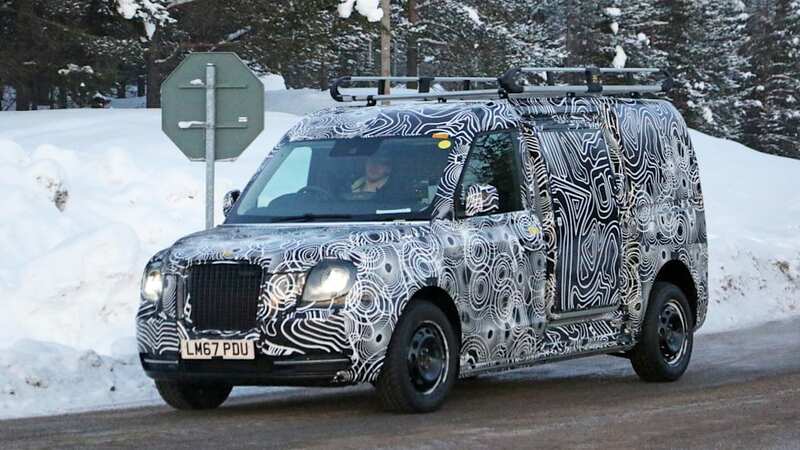 Last year it was rebranded the London EV Company, and part of its rebirth was the introduction of an electric London cab called the LEVC TX. 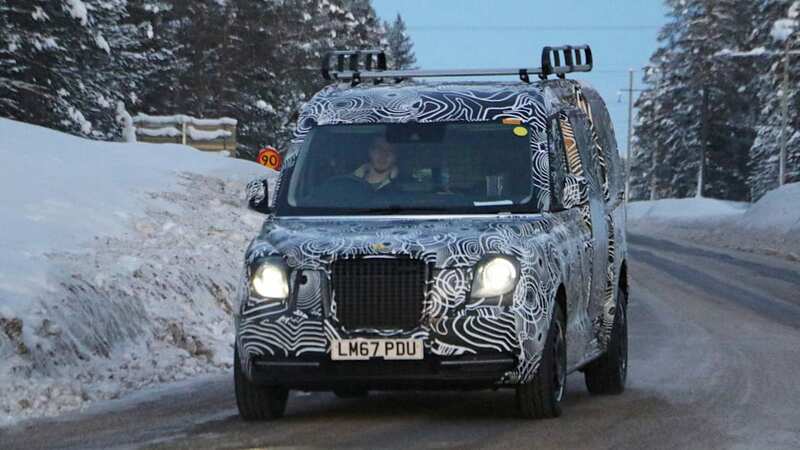 They are manufactured in a new facility near Coventry, England, and plans include branching out from making just taxicabs. 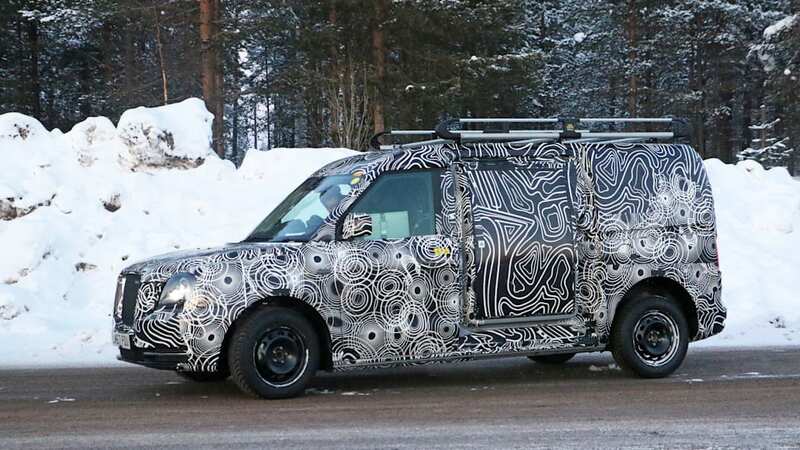 This light commercial van version, about the size and shape of a RAM Promaster City, is designed for urban deliveries. 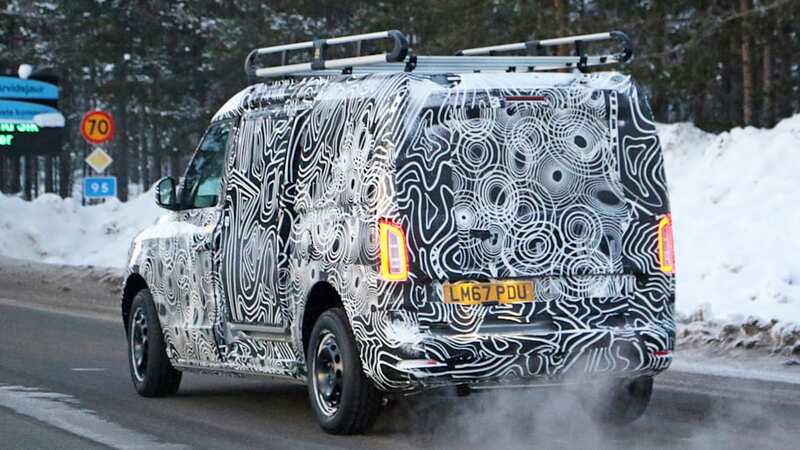 It is a range extender hybrid, and running the test mule's plates at the British DVLA's site showed the late 2017-registered test vehicle's fuel type as "Hybrid Electric (Clean)". 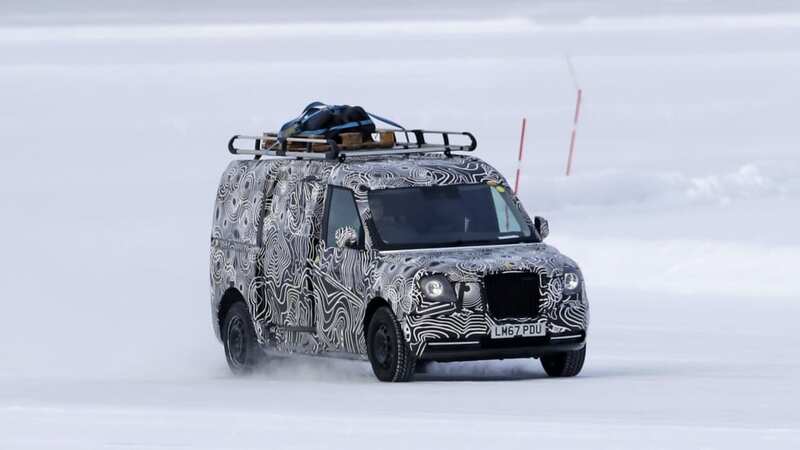 We are also detecting a cloud of exhaust in the last photo, as the vehicle guns away from the photographer; if that's not just powder snow, that'll be the range extender working. 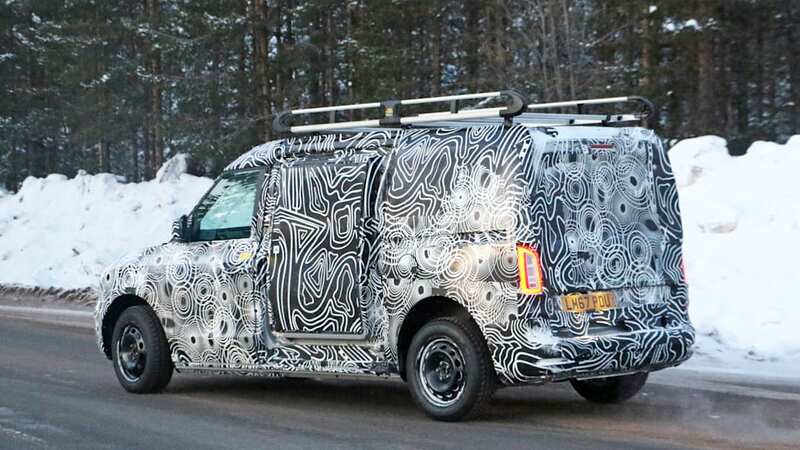 The camouflaged vehicle's front will most likely resemble the taxi sibling, just as a more workmanlike version; the rear end loses the detailing that reminds onlookers of the classic taxi and gains a more van-like shape. 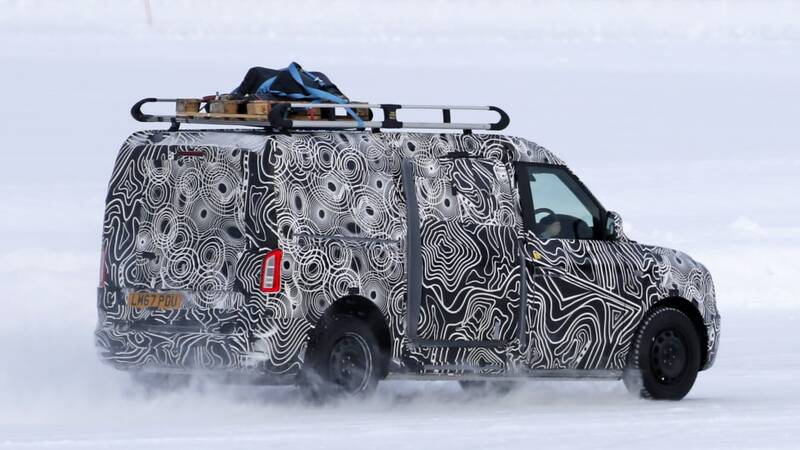 LEVC CEO Chris Gubbey announced the vehicle earlier, saying: "This is going to be the future proofed 'white van' that people have been waiting for. 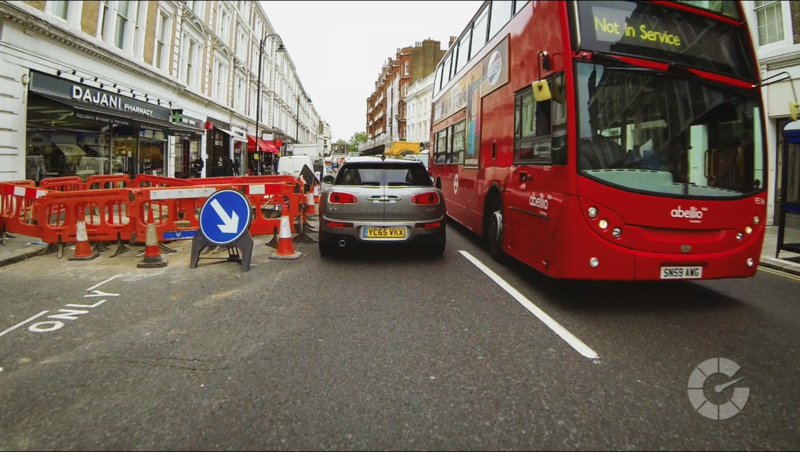 Designed solely for the urban commercial sector, dedicated to the people who keep our cities working, it will be clean, competitive and ready for cities of the future." 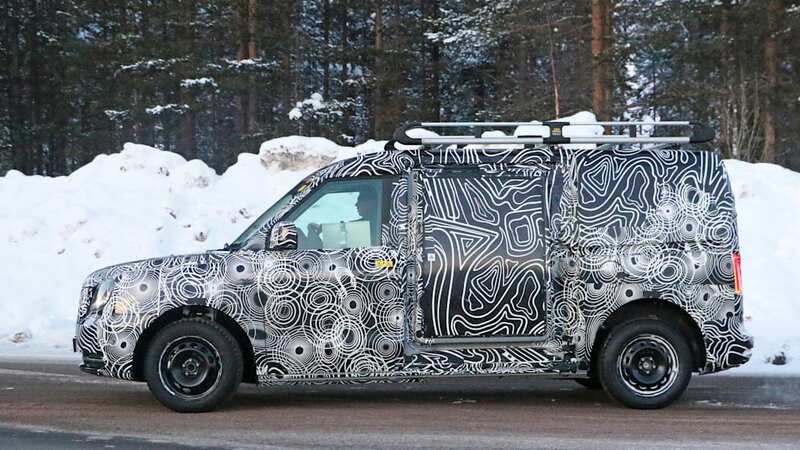 Company chairman Carl-Peter Forster added: "In addition to our brand-new taxi, the manufacturing of this all new light commercial van is a transformative step for the company as we will move from a single product, single market organization to a multi-product, multi market organization." 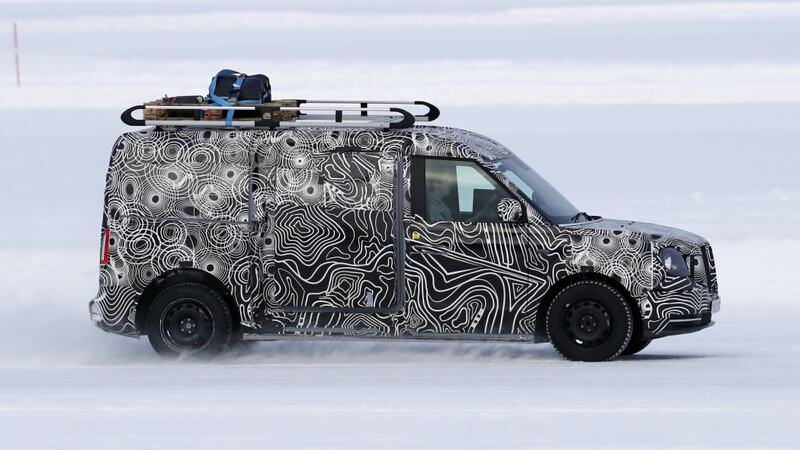 No information of the van's sales in the U.S. has yet been given.